With mixed reviews from the local populace on Guyana’s bid to host the finals and semi-finals of the Caribbean Premier League (CPL) 2016, Guyana has lost the bid to neighbouring Trinidad and Tobago. 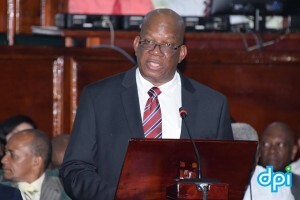 This was confirmed by Finance Minister Winston Jordan who was leading Guyana’s bid to host the final matches for the tournament for the first time. Planning to spend US$1.5 million for the finals, the Guyana government’s intention was to add a bit more celebration to the Jubilee Independence Festivities. The Minister indicated that while there is some amount of disappointment, it will all be taken in stride. “Of course there will be a degree of disappointment that we are not hosting the finals…We don’t have the reserves of Trinidad first of all and Trinidad would have always been an attractive venue,” said Jordan. He pointed out that a number of factors would have been against Guyana once Trinidad came in the picture in a very strong way. “We could only go so far with what we have…when we look at the circumstances and so on we would not have been able to afford it…As prices went down the other side probably went up,” the Finance Minister stated. It is reported that Trinidad’s Government offered $US1M more than what the Guyana Government was willing to pay. Junior Sport Minister, Nicolette Henry told Demerara Waves Online News that from all accounts Guyana’s offer of US$1.5 million did not make it. “Trinidad bid much higher than us at this stage. We can’t match it. There is no way we can match it,” she said. Asked whether that meant that Guyana has effectively lost the bid, she said “If they will be generous enough to give us at a lower (figure) that’s the only way we’ll get it but in terms of money, they definitely out bid us,” she said. Last year, Trinidad paid US$3.5 million to host the event, but this year CPL is asking for US$4.5 million. The Trinidad Guardian newspaper has reported that the total direct impact of the 2015 tournament for the T&T economy was stated as US$15.40 million. This was broken down into the direct spend by CPL which was US$3.84 million, accommodation and general expenditure was listed at US$5.63 million, and value produced by the T&T Tourist Board branding at matches was put at US$5.93 million. The proposal also outlined to all governments that a total of 93,929 fans attended the matches in T&T and as a result 551 jobs were created. In addition, a television audience of 27.3 million persons viewed the games, and a total of 5,703 nights were spent by non-local spectators at the hotels in T&T.